Canoeing on rivers and its hidden river-arms of South-western Slovakia brings many spectacular views. Man can discover nests of water birds hidden in the reeds. 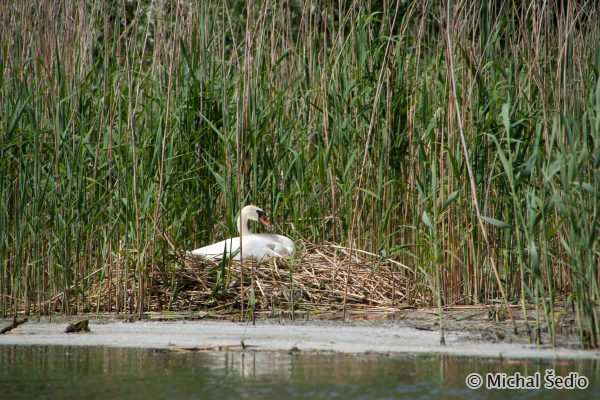 Nest of the Mute Swan (Cygnus olor) is one of the largests.